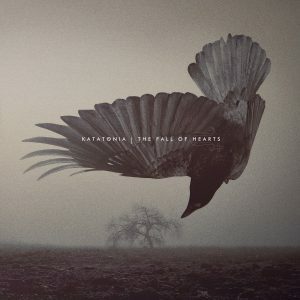 When 2016 draws to a close and I begin compiling my “best of the year list” one album that is definitely going to be near the top is ‘The Fall Of Hearts’, the quietly brilliant 10th album from Katatonia. It’s the “sleeper hit” of the year in my opinion. It’s not the most flamboyant release; it’s not aggressively pushing boundaries or showing off how technically proficient the band members are at every opportunity. Instead it’s an album of subtle nuance and variation, the sound of a band perfectly comfortable in their own skin continuing to evolve and improve along their already distinctive path. ‘The Fall Of Hearts’ is the first album of new studio material in 4 years and also marks the debut of a couple new members to the fold; guitarist Roger Ojersson and drummer Daniel Moilanen (who really makes his presence felt in the arrangements). In the intervening years since 2012’s ‘Dead End Kings’ the band has been focusing on stripping down their sound, first via the remix album ‘Dethroned & Uncrowned’ and secondly their live acoustic concert recording ‘Sanctitude’. The lessons learned from this approach have carried over to the new album, adding subtlety and space to the arrangements and allowing the new compositions to really breathe and flow. Katatonia’s compositions in the past were often more straight-ahead than others within the Prog Metal field, being primarily based off a standard verse-chorus-verse structure. ‘The Fall Of Hearts’ offers a much more impressionistic approach, the more fluid nature of the arrangements really showing off Jonas Renkse’s gorgeous melodies to greater and more dramatic effect. Opening track Takeover is an excellent demonstration of how this new approach has been applied. The song starts abruptly without an intro, immediately dropping you into its melancholic setting. The rhythmic thrust of the song is understated, dreamlike; it creates the subtle impression of floating. This feeling remains even once the heavier guitars come into play around the 1-minute mark. There is something very “painterly” about the feel of this piece; it’s elusive, ethereal, like watercolors in varying shades of gray. It’s simultaneously lovely and haunting, the metallic elements used effectively to create a subdued feeling of menace lurking just below the surface. It’s a stunning beginning to the album and invites the listener to abandon their preconceived ideas and just let go, just experience it. 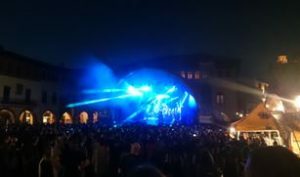 The unique feeling also presents itself on the more direct, mainstream songs on the album. The singles Serein and Old Hearts Fall are deceptively accessible, the melodies so inviting that the listener might not even notice that the underlying arrangement is still quite complex and unexpected. 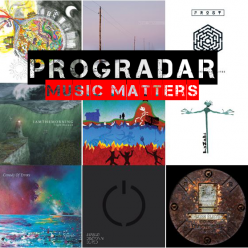 That is not an easy balance to strike for any band, especially in the Prog Metal genre, which is not exactly well renowned for subtlety. 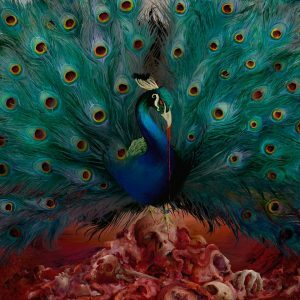 Yet even the heavier compositions on the album never lapse into the expected clichés, they never get as militaristic or bombastic as you expect them to. The heavy riffs are applied with the same level of care and precision as the more melodic sections. 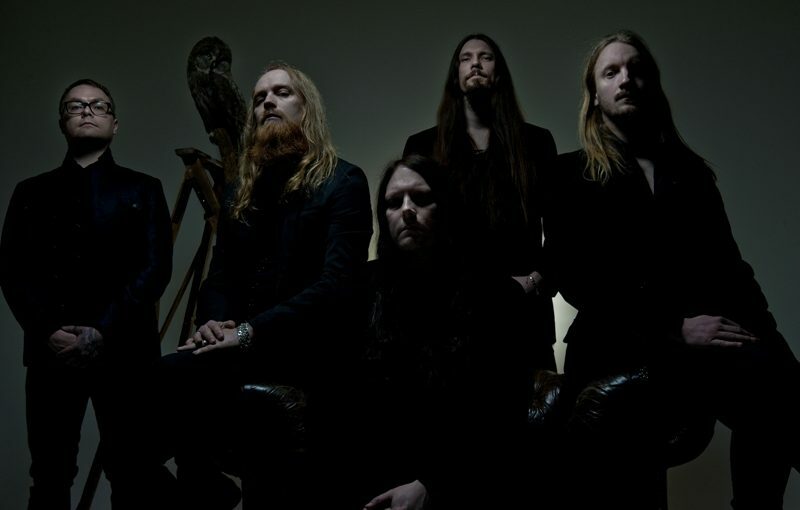 Katatonia is often mentioned along with Opeth when the discussion of Swedish Prog Metal comes up. Jonas Renkse and Mikael Akerfeldt were roommates in the late 90s and remain best friends to this day. Mikael also contributed the harsh vocals to their classic early death-doom album ‘Brave Murder Day’. 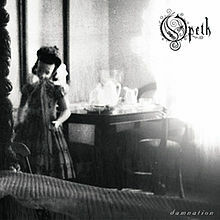 While there are similarities (especially in the approach to ballads) overall Opeth is a lot more extroverted in their approach and cover a lot more stylistic ground. There is an undeniable kinship between them however, which presents itself in a few occasions on ‘The Fall Of Hearts’. 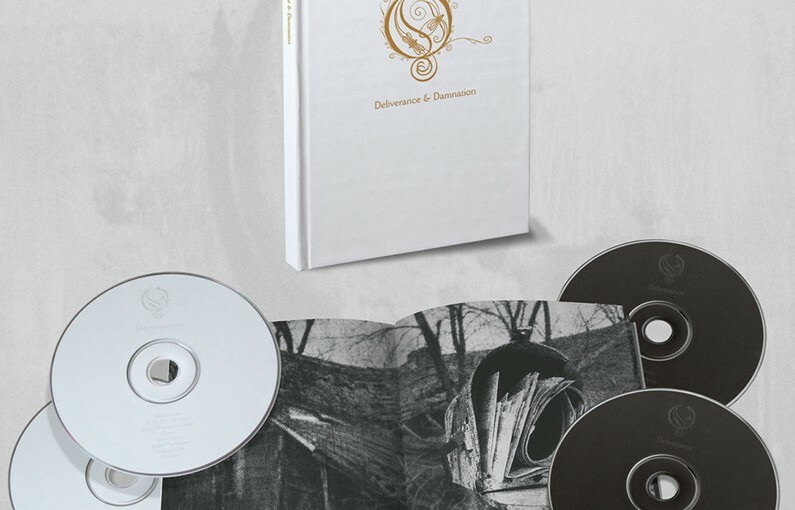 The beautiful acoustic-driven ballads Decima and Pale Flag show an affinity with Opeth’s ‘Damnation’ album and one of the albums heaviest tracks is Serac, which wouldn’t sound out of place on ‘Watershed’. But in reality the main thing these bands have in common is they both have very distinct, identifiable personalities and they are both led by very gifted singer/songwriters. ‘The Fall Of Hearts’ is a long album (67 minutes not counting bonus tracks) and thus takes a little while to fully reveal itself, but it’s such a rewarding experience that the effort is more than repaid. 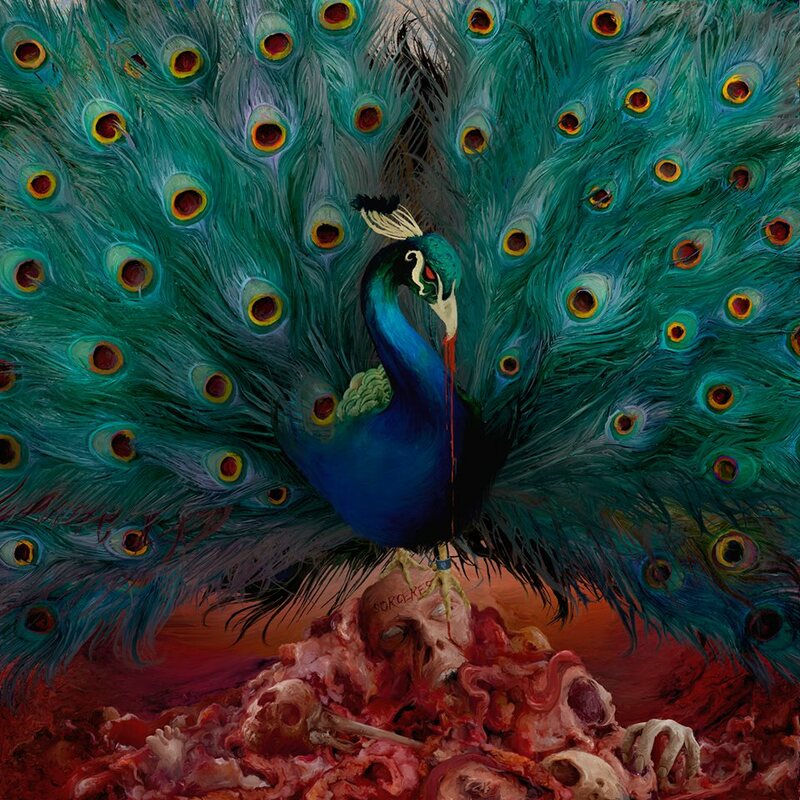 I’m partial to the second half of the album, which gets a little darker, heavier and more complex yet never loses the melody and accessibility. The light/heavy dynamic is used to great effect on tracks like Last Song Before The Fade (my personal favorite), The Night Subscriber and the uncharacteristically extroverted Passer, which allows new guitarist Roger Ojersson a turn in the spotlight. It also features Shifts, one of the most hauntingly beautiful songs I’ve heard this year in any genre. While there are many albums from 2016 that have gotten more hype and publicity than ‘The Fall Of Hearts’, I’m not sure if many of them attain the artistic cohesiveness that Katatonia has achieved here. This album took me completely by surprise, slowly worked its magic on me over the course of several months until it became indispensible. Now hardly a day goes by where it doesn’t end up in my stereo at some point, still methodically revealing its charms, becoming ever more rewarding with each listen. The very definition of a “sleeper hit”. 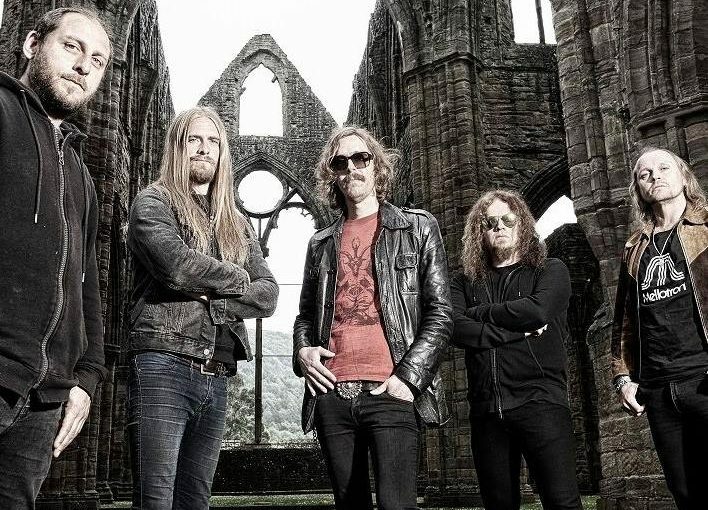 Swedish experimental heavy-rock pioneers OPETH have released the fifth instalment, “Studio Report – Episode 5,” of their in-depth, behind the scenes series on the making of their 12th studio album, ‘Sorceress‘. 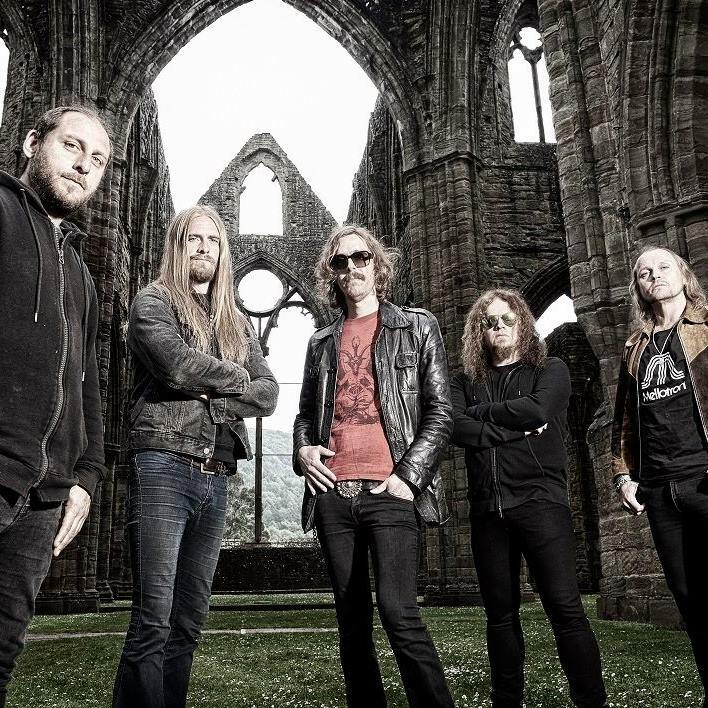 In this new trailer, frontman Mikael Akerfeldt talks about the vocal recordings in the legendary Rockfield Studiosand the writing process for his lyrics. 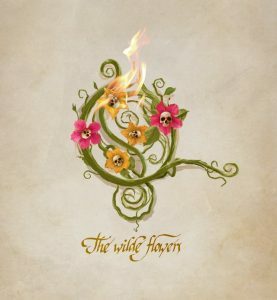 The highly-anticipated record is due out on September 30th via the band’s imprint label Moderbolaget Records with Nuclear Blast Entertainment. 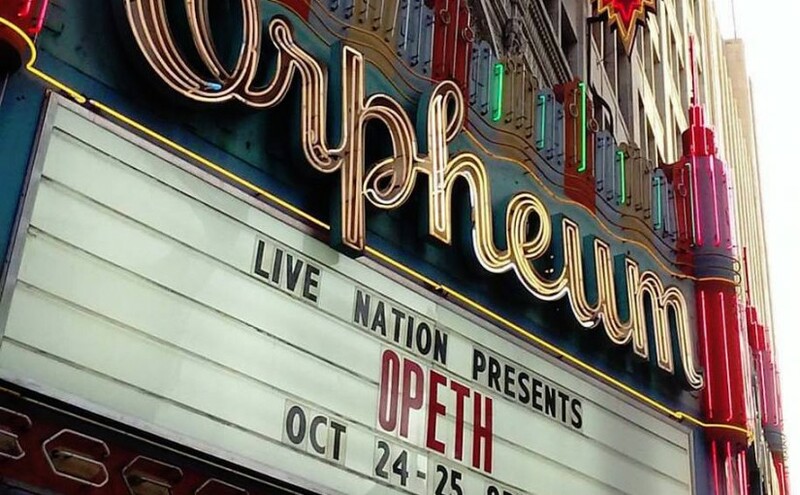 Shawn Dudley’s account of Opeth live at the Orpheum Theatre, Los Angeles on the 24th October 2015. 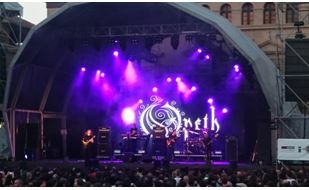 Opeth concluded their month-long anniversary tour with a two city trek to the States for shows in New York and Los Angeles. 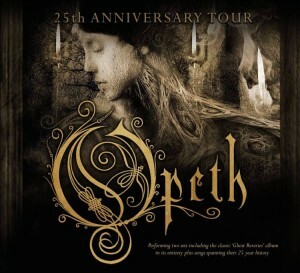 Originally planned as one show, the tickets for the Los Angeles concert sold out so quickly that a second date was added for the following evening. The elegant Orpheum Theatre (1926) is the perfect location for nearly 3 hours of Opeth, including a full performance of their classic ‘Ghost Reveries’ album, celebrating its 10th anniversary this year. To deafening applause the band walks onto a simple stage adorned with only a backdrop and some candelabras and immediately storms into the first three progressive metal epics that begin the album; Ghost Of Perdition, The Baying Of The Hounds and Beneath The Mire. These songs demonstrate the peak of Opeth’s blend of beauty and brutality. 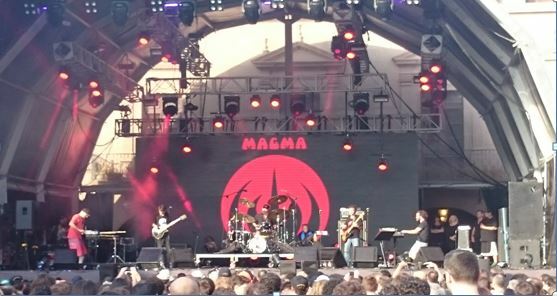 They attain a perfect balance; the fusion of progressive rock sophistication and precise metallic brute force. 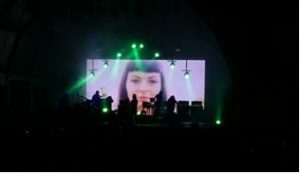 Mikael is in fine voice this evening and the 50/50 split of clean & gruff vocals in these songs are handled with equal skill. 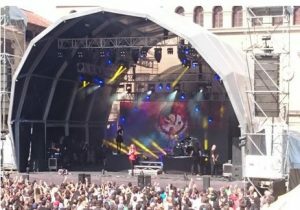 The lineup on stage is quite different than the one from 2005, only singer/guitarist/mastermind Mikael Akerfeldt and bass player Martin Mendez remain. The ridiculously talented drummer Martin “Axe” Axenrot joined in 2006, lead guitarist Fredrick Akesson joined in 2007 and keyboardist Joakim Svalberg joined the band prior to the ‘Heritage’ tour in 2011. The new players color and enhance the studio arrangements, there have been numerous little tweaks made to these songs and that is most evident in the keyboard parts and the more fluid approach Axe has to the drums. 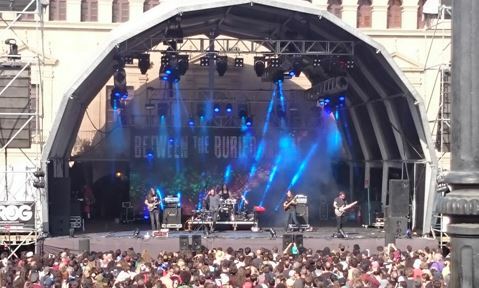 The more improvisational approach to their recent albums has really taken their live performances to new heights. 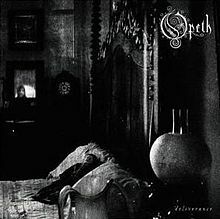 The hypnotic Atonement marks the first major departure from the studio version as this modal vamp has been extended to twice the album length to accommodate keyboard and guitar features. I’m really hoping they recorded one of these shows, I would love to have this arrangement in my collection. Other highlights of the first set included the ballads Hours of Wealth and Isolation Years, which had never been performed prior to this tour. 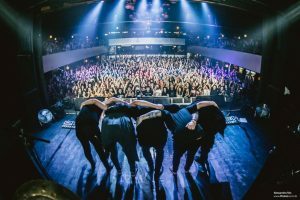 Recent reports from the London date of the tour indicate an overly rowdy crowd but that was definitely not the case in L.A. last night. The audience was respectful during the quieter parts of songs; they applauded solos and saved the hollering to the breaks between songs. During the quiet vocal & piano segment of Hours Of Wealth you could hear a pin drop in the theatre. After taking a 20-minute break the band returned for a second set tailor-made to please both their more recent progressive rock fans and their older (though often younger) metal contingent. I’m one of those that love both eras so I’m a happy camper no matter what. 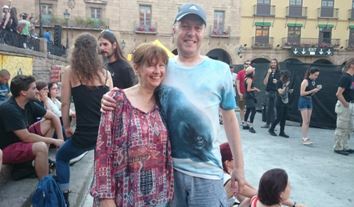 There was a wide age range at the show, I saw many gray-hairs like myself mixed in with the 20-somethings and it’s great to see all these people gathered together over their mutual admiration for this band. The clean vocal selections featured excellent performances of Eternal Rains Will Come, Cusp Of Eternity and Voice Of Treason from ‘Pale Communion’, a fiery rendition of I Feel The Dark from ‘Heritage’ and the lovely melancholy of To Rid The Disease from ‘Damnation’. 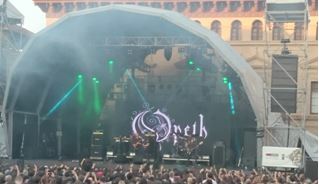 The heavier tracks consisted of crowd favorites The Leper Affinity (‘Blackwater Park’), Master’s Apprentices (‘Deliverance’) and encore The Lotus Eater (‘Watershed’). As usual for an Opeth concert Mikael had his sarcastic comedic cap on for the duration of the night. His playful back and forth with the audience has been a staple of their shows for years, there are youtube compilations dedicated to it. 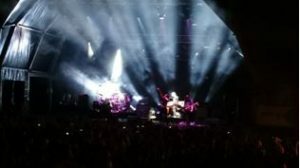 My favorite bit tonight was providing a play-by-play narration while tuning his guitar. 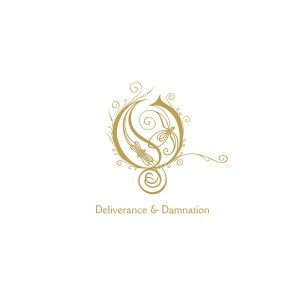 Hearing ‘Ghost Reveries’ performed by the current lineup really made me appreciate how significant that album was in their evolution and how much Mikael had grown as a singer and songwriter. 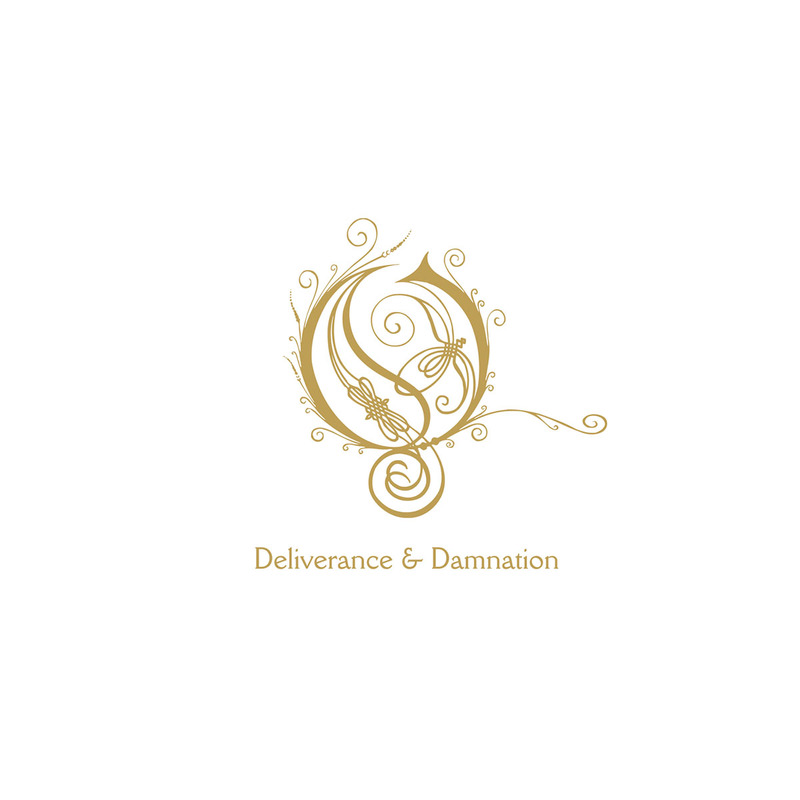 It was the direct follow-up to the mellow progressive rock album ‘Damnation’ and I think Opeth responded by delivering both their heaviest but also their most varied and accomplished record to that point. 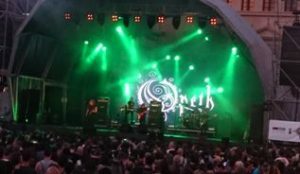 Mikael added a full-time keyboard player to the group (Steven Wilson played keyboards on the ‘Damnation’ album) and that immediately allowed him to start more fully embracing his love of 70s progressive rock. ‘Ghost Reveries’ started them on the path that would eventually lead to ‘Heritage’ and ‘Pale Communion’ and growing acceptance in progressive rock circles. 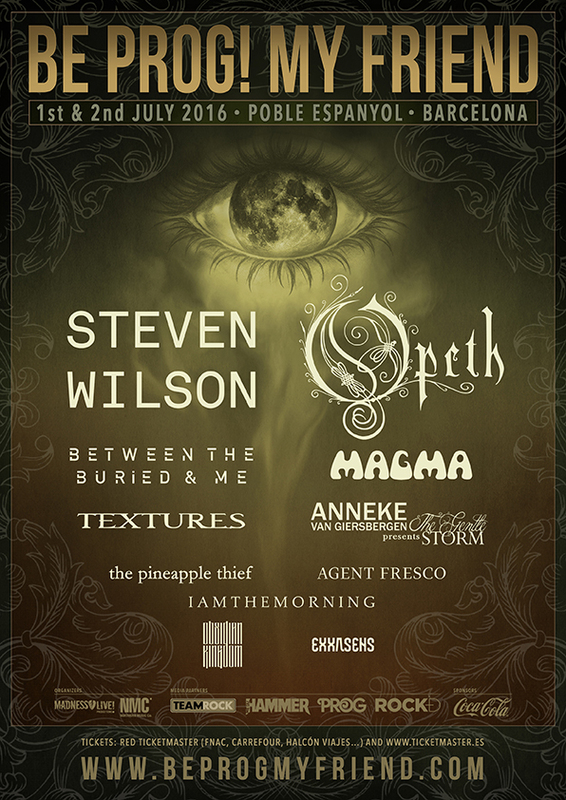 Still, Mikael is proud of the earlier metal era of Opeth (deservedly so) and that was proven yet again by the passionate performance this evening. Many bands celebrating their 25th anniversary are looking back at previous successes that have passed them by. 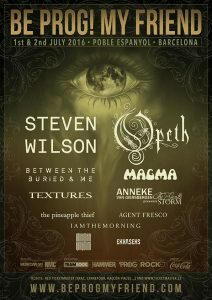 In the case of Opeth, I think their peak has yet to be reached.